(Restaurant only – brasserie other times) Wed-Sat 6.30pm-9.30pm, Sun noon – 3.30pm. Rustic dining pub with excellent reputation and wine list. Critically acclaimed gourmet pub with a destination wine list from Winos in Oldham. 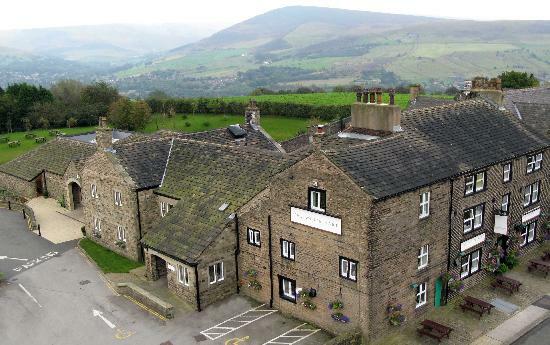 Located seven hundred feet above sea level, where Saddleworth Moor starts, Confidential writer, Jonathan Schofield describes the restaurant as an ‘impressive former coaching house, full of men in slacks and polo shirts.’ In short, it’s a place for all; a composite experience including restaurant, brasserie, pub, function areas and a boutique hotel. Many seating areas cosy: low ceilings, beams, exposed stone walls and big fireplaces. Shaw’s cooking, meanwhile, is all about local ingredients cooked with flair. Foie gras is served with Sarsons vinegar, for example, while elsewhere, there’s a fruity roast venison loin with beetroot and spice caramelised pear. Cheese is a strength and there’s a bijou veggie menu. 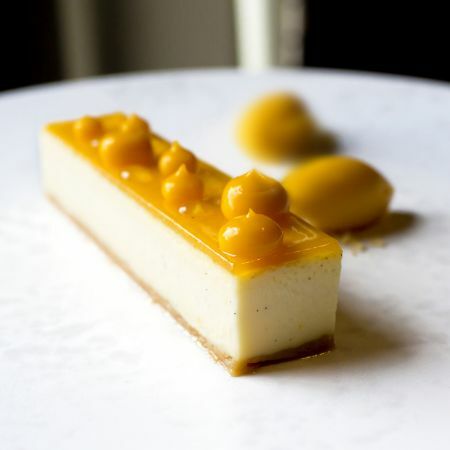 Dessert, meanwhile, could include iced mango parfait, citrus meringue, vanilla, hot passionfruit soufflé or wild plum tart tatin with roast almond sorbet. 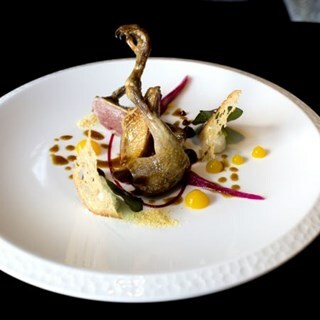 The pigeon breast was wonderful, yielding, all gamey flavours juiced up and satisfying. The accompaniments were expert as tight as a top jazz act at Band on the Wall: the seared foie gras bursting with excess, the beans crisp and unmistakeably truffled, the leeks providing a tasteful bassline. Chef Paul Cookson should be given an extra tenner a week for coming up with this. First class dining with a small but varied menu. Excellent service. Fine for that special evening. Service and food both fantastic. Such a lovely place and every time we come here, we're not disappointed. 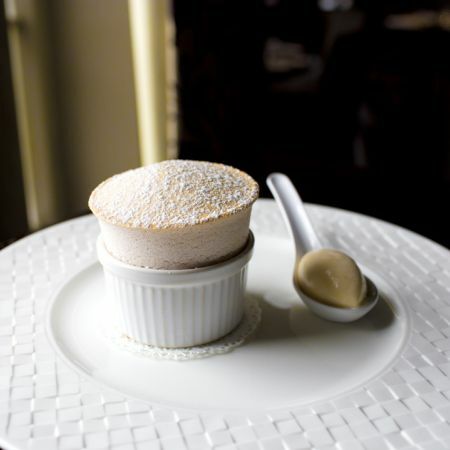 Whether it's the tasting menu or the a la carte, the food is lovely, the service perfect and the setting cosy and comforting. It's our place ofg choice for a treat night out. Not quite met expectations. High stools only in bar area meant no where for septuagenarian / octogenarian guests to sit for pre-dinner drinks without risk of a trip to A&E. Room nice enough in a modern way but lacked the cosy traditional feeling that might be expected in an old building like this. Not much to distinguish the ambiance from the Brasserie. Tablecloths would have helped. Service was adequate though lacked a few graces, not a very effusive welcome and no goodbye. Very limited menu, well cooked (could have been served hotter) but not as imaginative as might have hoped for given its "fine dining" aspirations and pricing. Bread was disappointing (dry) and the sides very basic. Duck fat chips unremarkable, perhaps a sprinkle of something like truffe salt would have elevated them The mangetout likewise were just simply steamed. Neither offered anything I can't do at home. Don't understand the Tasting Menus they were just a medley of the A la Carte offerings. 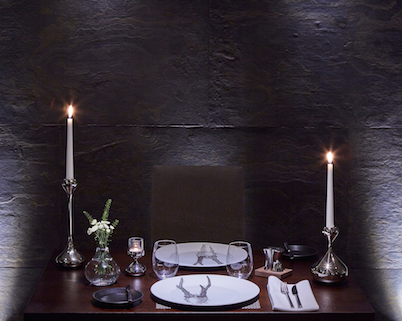 To me a Tasting Menu is where the Chef goes "off piste" and thrills you with their imaginative creations. Perhaps this venue is more suited to a younger clientele. It was very quiet in the dining room and much more of a buzz next door in the Brasserie but we had excellent service as we had a waitress looking after us and one other couple. She was very good as we didn’t feel rushed and she was very descreetly in the background ready to help when needed. We had a very pleasant pearl wedding celebration especially as the food was outstanding even better than the Brasserie where we more often eat. Food amazing - love that you have a vegetarian menu and vegetarian tasting menu! Really enjoyable meal, however I was rather disappointed with the menu which didn't have a vast choice. The starter & main course we had no problem with, but really struggled with a choosing a dessert - in the end we shared cheese & biscuits. We were in no rush, so the pace the meal was served suited us but the couple next to us who were on a tasting menu seemed to getting their dishes a lot quicker. Overall a lovely night, but in order to visit frequently there would need to more menu choice for me personally. Had the 7 course tasting menu. Enjoyed thoroughly. The Cornish crab, mango & watermelon was a particular highlight. Lovely experience. I think the tasting menu could also receive coffee or tea included. Really nice food and presentation, main course of taster could have been slightly bigger. Would recommend and come again. Staff polite and accommodating. We had the 7 course dinner with wine and it was beautiful food, superbly presented. Still head and shoulders above anything else locally, food well worthy of 3 Rosettes, wake up AA! Fantastic food and great friendly service. Brilliant as always! I would recommend the White Hart to everyone. Went for the 2 for 1 Monday deal at £42.50. But it isn’t really 2 for 1 because at £42.50 for 1 it would be a rip off and it’s only just reasonable at that for 2. Won’t be rushing back. We love coming here, the taster menu is always amazing and the staff are very friendly and knowledgeable. We highly recommend it. The food, wine and service were all perfect exceeding our expectations. A lovely evening! we have been eating and drinking at the white hart for many years and have never received a poor meal or bad service. our compliments to all the staff. We had the tasting menu - beautifully presented and wonderfully tasting. We will definitely be having it again. The food was superb, however there were not enough staff to provide the right level of service. I felt sorry for the staff on that night as they had too much to do. We didn't receive the first dish for 45mins. We will be back though as the wines and food were knockout when they did arrive! Wonderful warm welcome from Ian and his team. We all loved the 7 course tasting menu. The tuna was my favourite, my OH said the monkfish was his top dish. Daughter couldn't choose between pigeon or the beautiful chocolate dessert. The wine flight was perfectly paired too. Highly recommended.